Reportedly costing just €16 before tax, the Nokia 103 is Nokia's cheapest phone ever, and is aimed at customers who need minimal functionality but maximum value. Launching first in Nigeria, and then following in other markets later, the Nokia 103 is a simple device with some useful features. As well as being a dual-band GSM phone, the Nokia 103 has an FM radio (which requires an optional wired headset) and a flashlight, plus some preloaded games. Because people in emerging markets often share phones, there's a call tracker and support for different phone books. 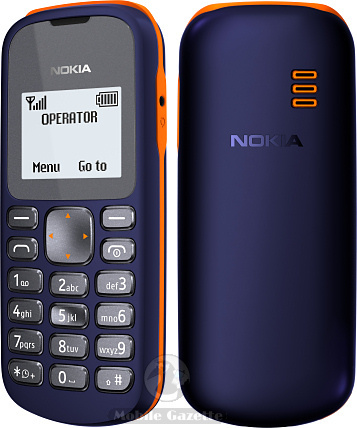 There's also a calendar and alarm clock and polyphonic ringtones, and the Nokia 103 can store up to 250 SMS messages. It's a lightweight device at 77 grams and it measures 107 x 45 x 15mm. The keymat is dustproof, and the 800 mAh battery is quoted as giving enough power for 11 hours talktime and 27 days standby time. There's a simple 96 x 68 pixel 1.36" display and really not much else, but then at these prices it is amazing that anyone can make a phone at all. The Nokia 103 should be available from Q2 2012 in Nigeria, followed by other emerging markets.